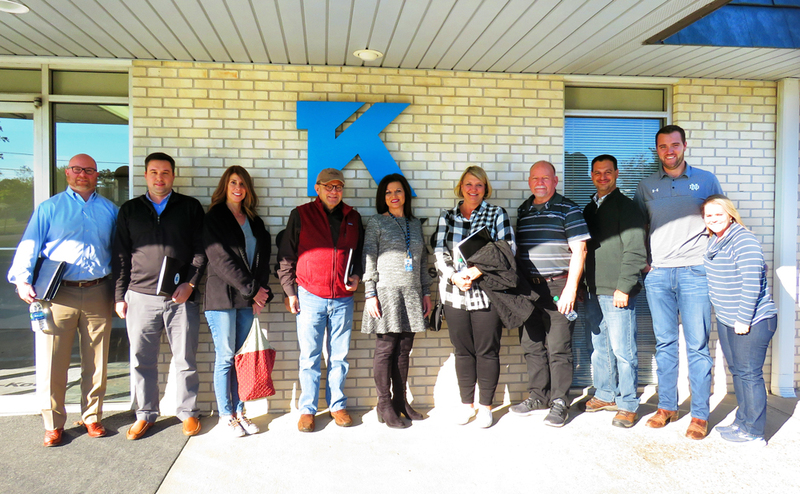 A group of Thermo-Kool Marketing Agents from PMR, Inc. recently visited the Thermo-Kool factory in Laurel, Mississippi for a Product Knowledge Seminar and factory tour. During the training the marketing agents went through extensive sessions on the features and unique design capabilities of Thermo-Kool walk-ins and blast chillers/shock freezers and the value-added services which exceed customer expectations. Pictured (from left) are: Johnny Maxcy, Eric Davis, Mary Roberts, Mike Whitten, with PMR, Inc.; Teri Brewer, Thermo-Kool Vice President and Sales/Marketing Manager; Sheila Otwell, Mark McGrath, Patrick Caufield and Jennifer Odgers with PMR, Inc.